Home » 2011 » It's giveaway time! That's a really cute totebag, Diane! There are several of your posts that I've really enjoyed. I especially like those where you have shared about your family & traditions. I also really enjoyed seeing the posts about your trip to Taiwan. Oops, I forgot about the Pretzel Hugs. They are super-easy. Line a cookie sheet with parchment paper (not necessary, but makes it less messy). Put a Spread out some pretzels (I use square ones) & put a Hershey's Hug on top of each pretzel. Put them into a 200* oven for about 7 minutes or until they just start to melt. Remove from oven & put 2 or 3 M&M's on top, pressing them into the Hershey's Hugs. They need to set up for a day or you can put them in your fridge for a few hours. Good luck! I really enjoyed your post on your outing to that place on the beach - I think it was a company outing. It looked so peaceful there. I remember you bought a blue bracelet there too! Im all over this giveaway that is the cutest bag and you know I love PINK! shanswife.blogspot.com. My favorite post has to be two post back I love seeing the versatility of friends you have and the fun thanks for sharing your life with us! Hi Diane! Oh, that's a darling bag and I would love the chance to win it! My favorite post of yours are your travels! I love seeing your part of the world! Funny thing, last night I thought, I need to hop over and see what happening in Dianes world. Then this morning there is a new comment from you. Always love visiting and learning about your adventures. wow, hard to choose a favorite. Love learning about your home, seeing adventures with friends, and the different foods you eat. Yeah, I'm a food person. Also loved how you kept us in wonder of your big international research opportunity. Love your darling pink bag, so please count me in. Looking forward to sharing with you in 2012. Cute bag! I'm a fan of all of your travel posts. 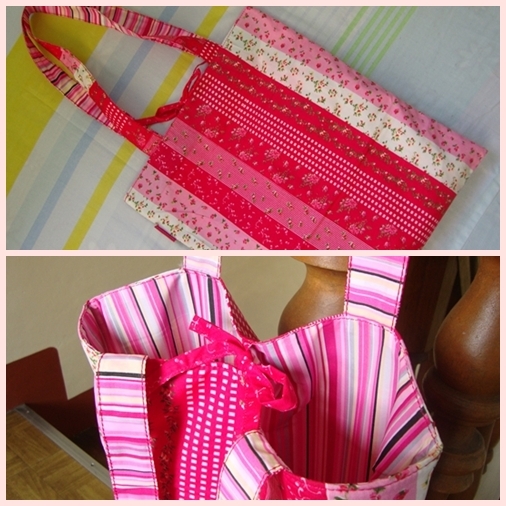 I love this adorable pink bag and would love to be the lucky winner! I really don't think I can pick a favorite post of yours. I truly enjoy reading all about your country, friends, family, work, and travels. You are an extremely talented writer and your words always seem to put me right in the center of the action. Thanks for everything you share with us. Thanks for inviting me to enter your giveaway. The bag is so cute, and I love pink! I enjoy the different cultural perspective of your blog, and at the same time, the similarities. My favorite post of yours was the one where you talked about weddings and how everyone gave away their things. It's really hard to decide which one is my favorite. I must say that I LOVE your food posts. The ones you talk about the foods in your country. They just look too yummy! Diane I always enjoy my visits to your blog and you are like me in that you take joy in the simple things in life. I loved your birthday post and all the food you showed this month but I love your very descriptive writing. Always a treat. Happy New Year!! I came here from my friend Izdiher's blog (your comments). My wife Anna favorite color--PINK. Her motorcycle helmet is same color as tote bag photo. We are not young, but RIIIIDE a lot! So since I was not a follower--am NOW!--one of your few (any?) males Peeps...this post is my favorite. I may change that vote in soon future. Hi Diane! What a sweet giveaway!! It is hard to choose my favorite post. I think I love learning about your country, family, and traditions most. :) I look forward to reading more in 2012. Can you believe it is almost here? Time is flying. I hope you have a beautiful New Year!! Yes, umabot ako!! I didn't have internet connection the past weeks and I can't seem to leave a comment when browsing using my phone. Wishing you more blessings this 2012 Dianne!